I am thankful for jetlag-induced still, quiet early morning hours just me and God in the days after I got home. I am thankful that this morning I slept past 5 a.m. for the first time since coming come. I am thankful for easy, reliable access to fresh produce and all the cooking/baking ingredients I could ever need. I am thankful for meals with my family. I am thankful for couches to relax on. I am thankful for my car, safely stored and waiting for me at my dad’s house in Ontario. I am thankful for a mild Ukrainian winter which was nothing like the cold, snowy Montreal weather I’ve been experiencing since I got home. I am thankful for my family who, as hard as it is to have me away so often, traipsing all over the world, support me in every way possible – I am so blessed. I am thankful that precious Tori finally knows the love of a forever family (click here to see pictures of her in the arms of her mother). 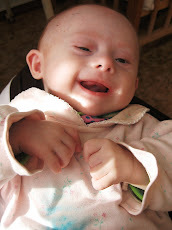 I am thankful that, even though he doesn’t know it yet, sweet Dima is no longer an orphan. 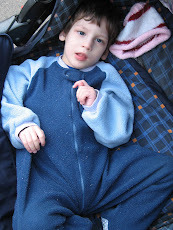 I am thankful that "my" little Artem will never again spend the night alone in an orphanage. I am thankful for others just like these who have seen what I’ve seen, who are crying out on behalf of these kids and who remind me that I am not alone. I am thankful for everything about these past six months, for every sorrow and every victory and for the way that God is using it all to shape me into more of who He created me to be.